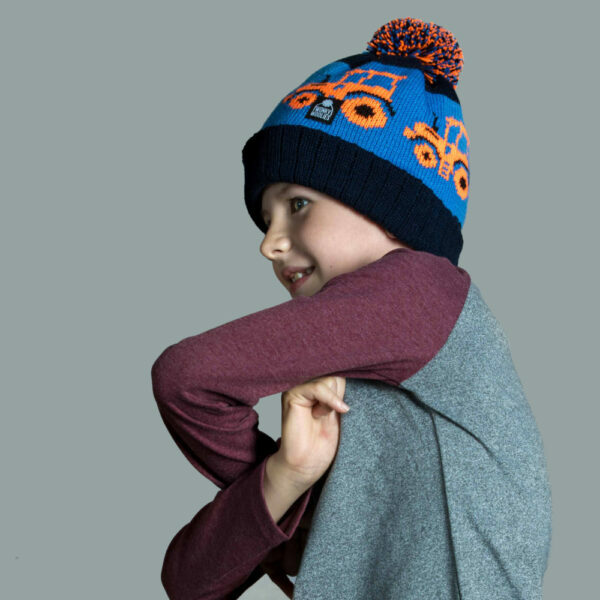 Our fun and bold tractor hat is a big hit with the kids. 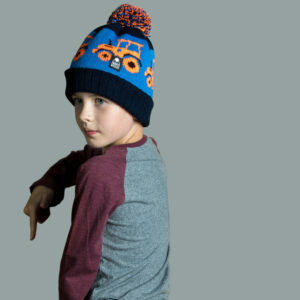 We’ve upgraded the design to include more detail and features on the tractor. 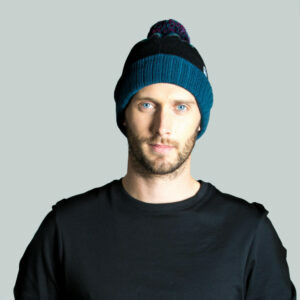 It’s made with soft acrylic yarn that has a ribbed turn up to add stretch and increase the lifespan. 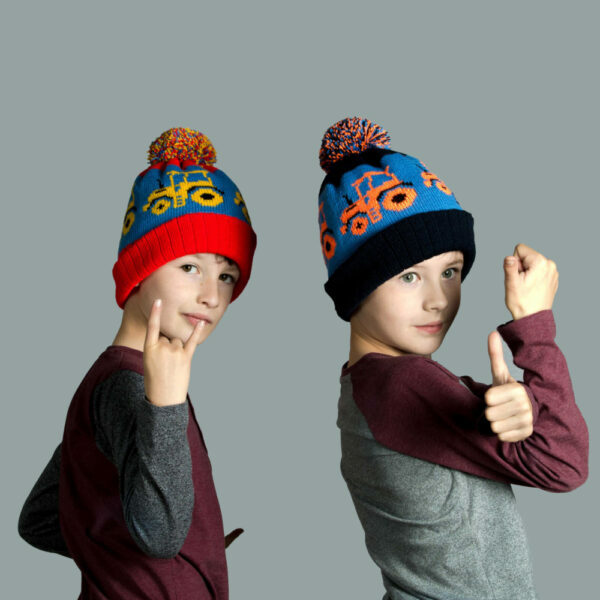 We’ve got two colour variations – the red one with a bright yellow tractor and the blue one with the bold orange tractor. 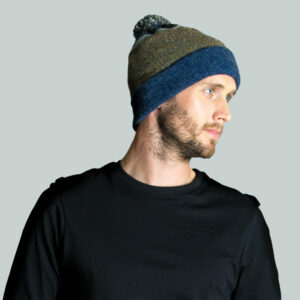 Both hats have a mid-blue centre bar and the tractor features are highlighted in black. 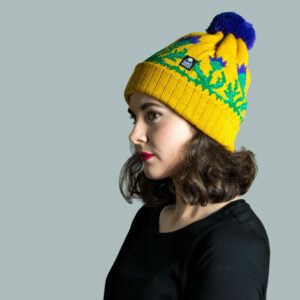 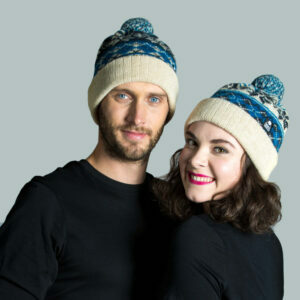 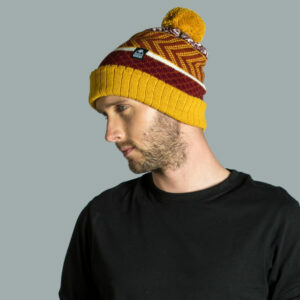 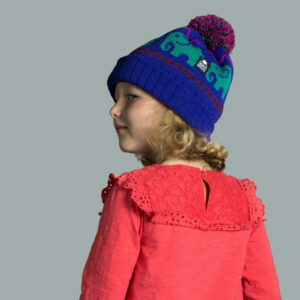 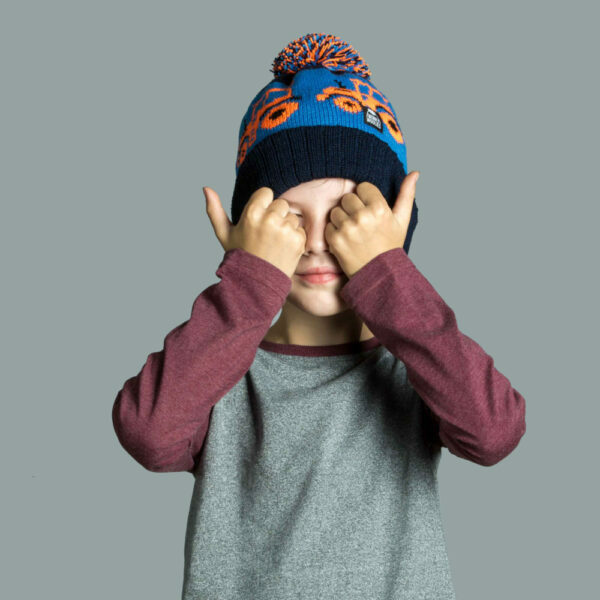 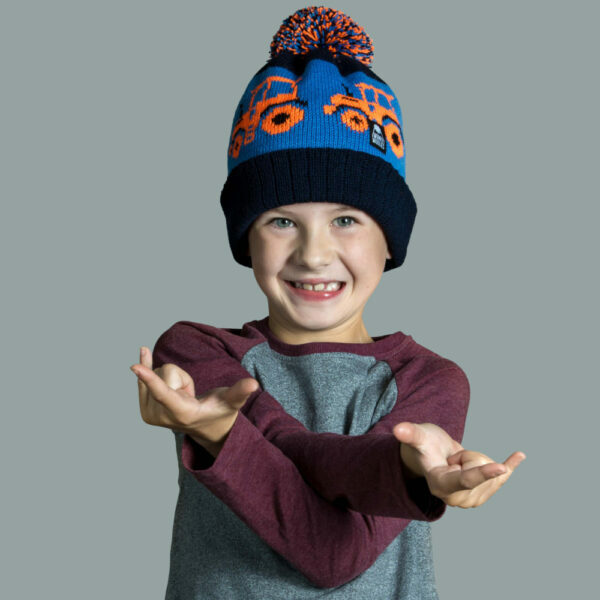 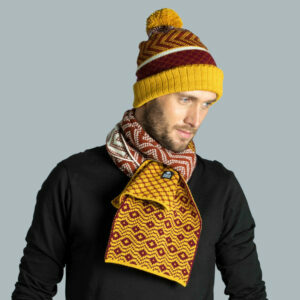 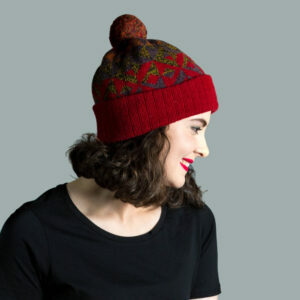 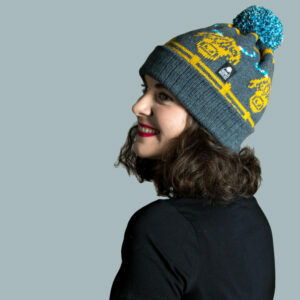 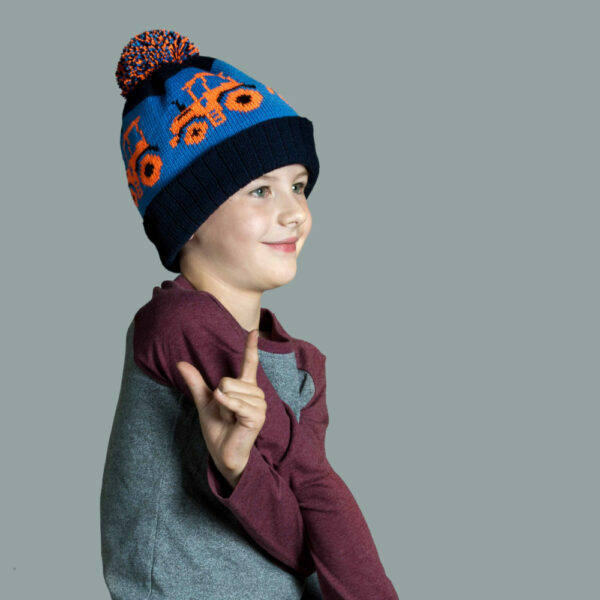 Each has a multi coloured pompom hand sewn on top, which mixes the three prominent colours of the hat together.